I love a good organizing tool. But if it only has a singular purpose, is it really that good? Shouldn't it be able to perform a variety of tasks? (Lookin at you, amazing craft storage pieces). I determined my top 4 multi-tasking storage solutions that go above and beyond their intended purpose to make your life more organized. I'm including both of these together because they can really be swapped out easily. The most popular examples are Ikea: the Bekvam spice rack and the Ribba picture ledge (sadly no longer available). You can use them to hold books, spices, pictures, nail polish, hair and body products, acrylic paint, ribbon, spray paint, toy trains, plates, tablets and phones, perfume, plants, cleaning supplies, jars... pretty much anything small. I'm currently using them for pictures/plants and spray paint. The old Ribba ones fit cans of spray paint perfectly. I've also used a picture ledge as a nightstand - it's just big enough to hold a water bottle, phone, and whatever little trinkets you need. It's a perfect solution for when you have your bed in a corner or you just want a very minimal night stand. You can also use a picture ledge as a little tiny entryway landing strip - a perfect place for keys and sunglasses. I've also seen the Bekvam spice rack installed upside-down to act as a little towel bar and shelf. Pretty genius. You can check out even more ideas in this Apartment Therapy article. There's also this article from Remodelista on the Bekvam spice rack. I love using dressers as all sorts of storage. I'm currently using a dresser as a tv stand/media and candle storage. But you can easily use them in any room of the house - from entryway to kitchen to playroom to office. I love the idea of using 2 dressers and putting a worktop over it to be a desk - there's just so more storage room! Get some smaller containers and some dividers and you can easily store a lot and still have things be easy to find. You can even create custom built-ins with them! Over the door shoe organizers are a renters best friend. They have so much storage but take 0 floor space and require 0 holes in walls. In college I used one to hold pajamas and later bags and belts. They are also great for holding spray paint, cleaning supplies, craft supplies, pantry goods, actual shoes. It's just a really handy tool when you're limited on space. A Girl and a Glue Gun has a nice roundup of ways to use a shoe organizer. There's a lot of types of file holders but really any type makes for good storage. First off, there are the wall file holders. They can hold paper and craft supplies, hair and body products, hair straighteners and curlers, cleaning supplies and rags. Wire magazine holders can be repurposed to hold produce like potatoes and onions. Small plastic file holders can be used for fridge and freezer organization as well as any other storage. The really nice thing about these last two is that they are tall and skinny - which makes for useful storage of so many things. Finally there are 'mail sorter' types - these are perfect for holding baking pans and pot lids vertical in cabinets to make for easier storage and access. Tension rods are a handy little tool that I feel don't get enough love. They aren't pretty, but they really help keep everything in place. You can use it in a cabinet to hang things - like cleaning supplies or tools from s hooks, You can use them vertically in a pantry to make easy storage and access of baking pans and muffin tins. They would do well in a nook to hold things like high heel shoes, scarves, or light clothing. Or you can use it to cover shelving in a nook with a curtain. I've even seen it used within a sink to hold the dish rag. I currently use tension rods in 2 closets to secure some tall items that lean against the walls. I also keep an extra one and an old curtain to instantly give some privacy if I ever have someone staying over in the living room. 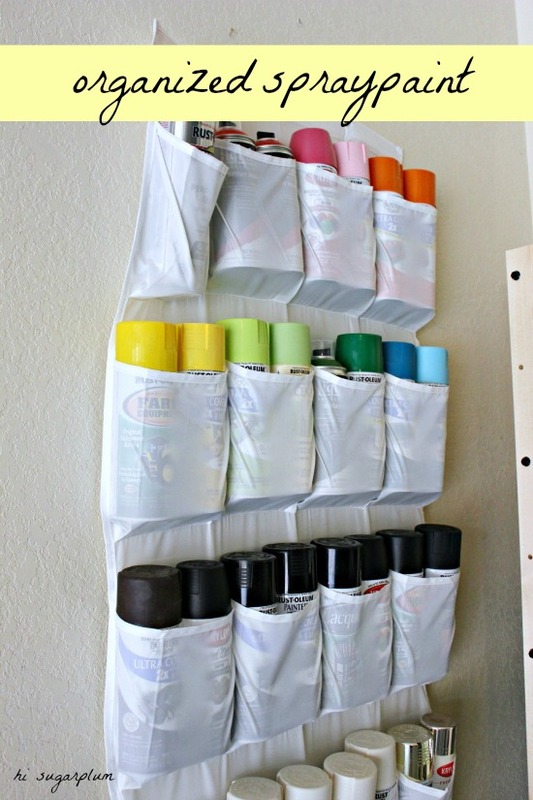 If you're looking for more creative organization solutions, check out my pinterest board! 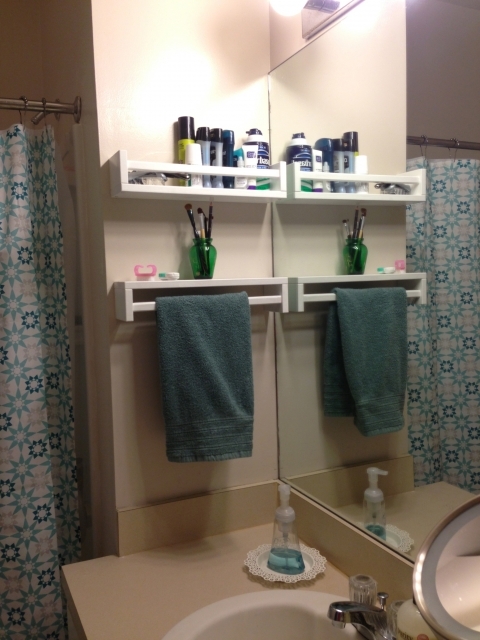 Do you have any creative organization solutions you've used in your home? Comment below!